Water Rangers is a non-profit organization aiming to make water science easy to understand. We deepen our impact by providing tools and training so that anyone can understand, test, and protect waterways. We are looking for a passionate bilingual student to help us out for 10 weeks this summer. You will receive training and hands-on experience in the field and the office. We are looking for someone who is self motivated and is good at prioritising their time, since you will be required to work independently, and we encourage you to come up with some of your own tasks. You will be going on excursions to conduct water quality tests with various local groups. You will also help us conduct user testing for our online platform and testkits, learning from the local groups, who will help us improve. Your role will be to support the core team as we grow over the summer, especially in the Ottawa and Pembroke area. Since we’re a small team, you’ll get lots of experience with doing many different things! Is studying at college or university in any subject, so long as you have a passion for water! Conditions: You must be a current student, intending to return to school in September, a Canadian citizen, permanent resident or legally able to work in Canada, and between 15 and 30 years old. Accepting applications until Friday February 23, 2018 at 5pm to jennifer@waterrangers.ca. Only those who are returning to school in September will be considered. We thank all applicants for their interest, but advise that only those selected for interviews will be contacted. Please do not phone, email only. 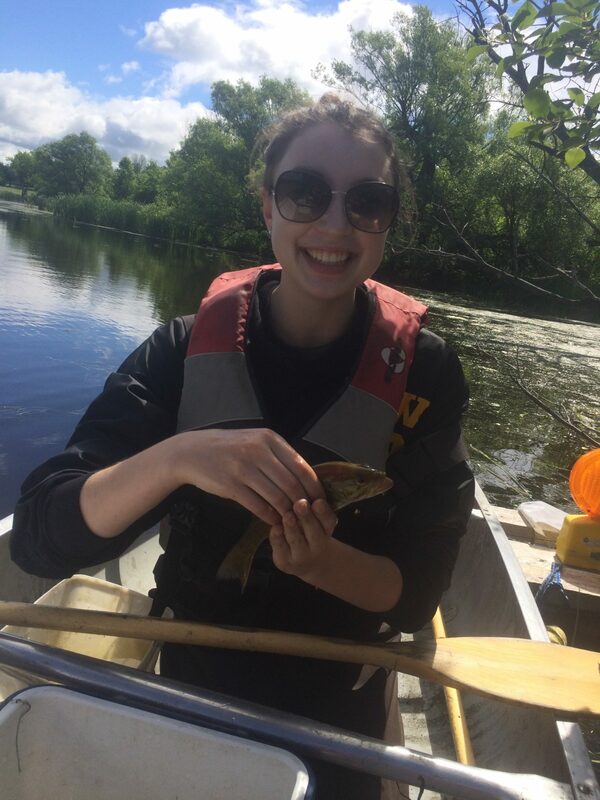 Our 2017 summer student, Kathleen Murr, out sampling water quality. Smiling is part of our job as Water Rangers.